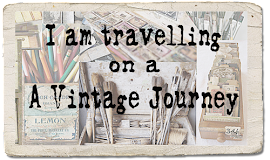 A Vintage Journey: Today's special guest is Marjie! Marjie Kemper has been playing with paper, ink, and paint for 15 years. She started blogging in 2011 after joining in with challenge blogs like ours, and hasn't stopped since. 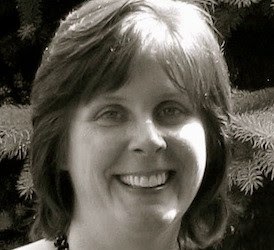 She is a Certified Ranger Educator and teaches mixed media classes at local stores and art retreats. This year she was one of the instructors in the online course, Creative Jumpstart 2014. Marjie's been published in Somerset Studio, Somerset Studio Gallery, The Stamper's Sampler, and more. She loves having inky fingers and plays regularly in her art journal. For the Fond Memories challenge, I've decided to use this photo of a very fond memory indeed, my Grandfather's 80th Birthday. That's my mom serving him cake, with a candle for each decade. I grew up less than a mile from my grandparents' home, and we saw them all the time. Granddaddy was famous for stretching out birthday celebrations... he'd often end up with several dinner celebrations and a few lunches over the course of several weeks, all revolving around his birthday. He'd encourage us to stretch these moments out, and make them last. He was never upset when someone couldn't visit on the actual day... he'd just say that's all the better for making it last. He had 94 birthdays, so he was pretty good at it! I decided to make my scrapbook layout with a focus on time.... a theme Tim often embraces. I started with a sheet of 12X12 scrapbook paper from Tim's Laboratorie set. This is so my style.... it comes all grunged up and ready to go. I tore the edges off, being sure to tear towards me rather than away from me so that I'd expose the 'tooth' of the paper. That gives the ink something to grab onto when I distress the edges. After adding Salty Ocean distress ink with my ink blending tool, I went ahead and did the same with Vintage Photo, being sure to vary the pressure and leave some blue still showing. I don't scrapbook very much these days, but when I do I like to make customized photo mats. One of my favorite supplies is diecuts, and Tim has dozens of them (maybe hundreds at this point) with Sizzix. Here I used the Iron Gate die, and then the matching embossing folder strip to add texture to the top of the mat. I think I bought that die for a Halloween project, but I have used it this way and on tags numerous times as it's really quite versatile. I used one of the torn strips on the mat, too. Notice since there's no 'tooth' exposed, the ink appears more muted. After diecutting Block Talk Alphabet letters, I embossed with the Papillon Texture Fade embossing folder. I love the Sizzix Weathered Clock die and use it a lot. I embossed the clock hands and added a metal Ideaology gear here and on the photo mat. I also applied some of the Salty Ocean distress ink in random places on the paper. The letters "Granddaddy said" and the number "94" are from Tim's Alpha Parts set, and the circle frame is a very old (red) Sizzix die. I look forward to seeing what you do with the Fond Memories challenge! This is a stunning project Marjie, thank you and how lovely of you to share with us your memories of your Grandad's 80th birthday - beautiful! 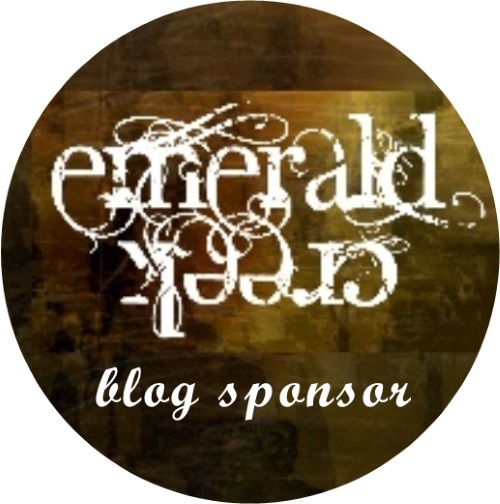 We hope you'll visit Marjie's blog and share some 'VJ love' with her. Gosh there is no way I would have guessed this was a Marjie project.... great to see you be so versatile! Love all the different elements you have added to this LO and the whole time theme really suits the font memory you have shared with us here. Your grand dad certainly seems t have known how to celebrate, and he was so right too! It's the celebrations in life that give us those special memories. Thank you so much Marjie for sharing this wonderful piece with us here! I rarely share my scrapbook pages but this is the way I usually scrap... kind of neat to have it tie in here with the Fond Memories theme. Thanks for your kind comments! What a great layout, Marjie - the photo is fabulous to start with, and I love your inventive use of the die-cuts - fantastic project! Thanks so much for joining us with this powerful page! so great to see you here at AVJ Marjie and I love this fab layout. I am with your grand daddy...birthdays should last for at least a week of celebration. I love your page. And most importantly to me, is how you taught. Great tutorial. Grandparents have a huge impact on our lives don't they? Thanks for sharing your family history and the great ideas. Thanks so much for all the enthusiasm... you've all made my day! Fabulous design and layout Marjie! Love the story behind the photo and such great memories! 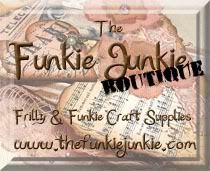 So thrilled that you joined us as a guest designer with your wonderful art! Hugs!